All plans can be modified. Prices shown are for complete construction of the home. Land and site work not included. 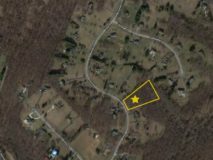 Very open with large rooms through out, The Danville ranch home is meant for those families who do most of their living in the Family Room and Kitchen. With over 650 sq ft just in this area, The Danville boasts one of the most spacious and sensible floor plans we offer. The Seneca ranch home is very open with large rooms through out and is perfect for families who spend most of their time in the Family Room and Kitchen. Spacious Master Suite with luxurious bath along with his and her walk-in-closets. 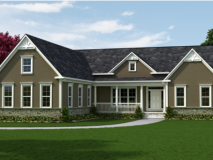 If you are looking for a ranch style model, this may be the perfect floor plan for you. The Belmont is the largest home in our Ranch Series, offering over 2,600 square feet of luxurious single-level living. The impressively open and spacious floor plan provides a modern look and feel, while making efficient use every inch of the home. The Master Bedroom includes dual walk-in-closets and a large Master Bath with dual vanities. The roomy Kitchen includes an angled island for maximum counter space. 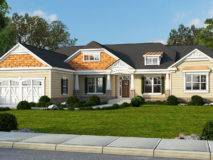 The Belmont model can be built to meet Montgomery County's "Design For Life" guidelines. 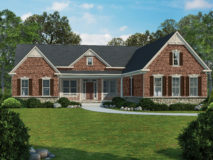 The Bennett is the first Classic Homes model designed to meet Montgomery County's Design for Life - Livability standards. A ramp in the garage provides a hidden no-step entryway. The hallways and doors have been widened to accommodate wheel chairs and other mobility aids. You will find safety rails in the Powder Room and Master Bath, in both the toilet area and walk-in shower. The Kitchen has been opened up, to allow wheelchairs/mobility aids to easily maneuver around the island and appliances.